An understated way to do polka dots, this top is scattered with a pale micro dot print over a soft blush hue. An understated way to do polka dots, this top is scattered with a pale micro dot print over a soft blush hue. 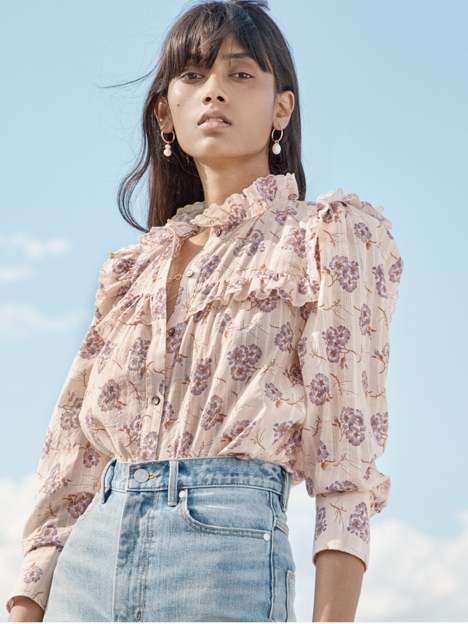 Its corset-inspired silhouette features seams under the bodice that contrast its generous sleeves and tuck in beautifully to high-waisted jeans.